Discover our unique approach to learning Creative Kinesiology. Whether you're starting out at LifeTracking Foundation level, training to become a Creative Kinesiology professional practitioner or learning to teach CK, all our courses give you the opportunity to engage in a personal journey of growth and self-development within a group setting. In your training, you'll be asked to work co-creatively with others and engage in your own personal process of healing as you build your Creative Kinesiology skills and experience. Through this, you learn how to support another person through their own healing process and work with them over time. Our teaching style involves students working together as a group and in pairs. You will learn by addressing the ‘live’ symptoms and issues that you and other group members bring to your training sessions. Although there is a set syllabus that you will cover over the duration of the course, the content of each module is not mapped out in advance. Instead, when and how you explore the course material will be facilitated by your trainer according to the needs of the group and the group process in any given moment. In this way, your learning experience mirrors how you would follow the energy flow of a kinesiology session, allowing it to gently unfold so a person’s story can be told. Understanding this will be fundamental to building a successful kinesiology practice and responding to the needs of your client. 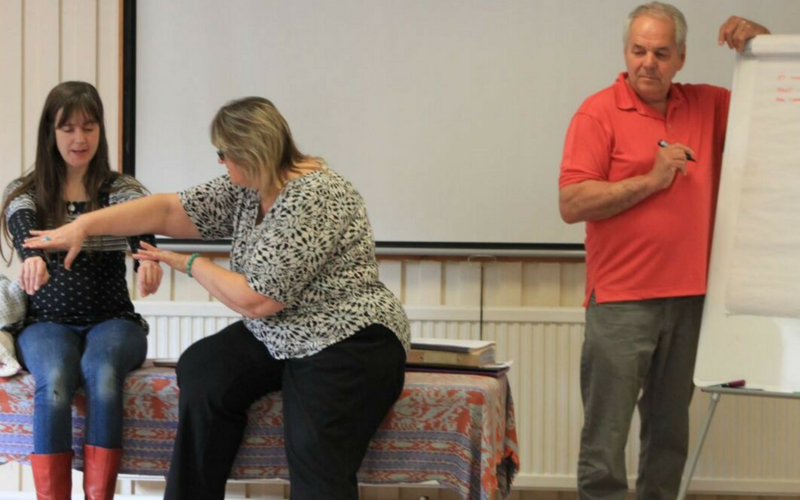 Another important and unique aspect of our training courses is our requirement that you receive individual Creative Kinesiology sessions between course modules. These personal sessions are very important in terms of learning the material from the inside - from your own personal experience of the tools, techniques and process. These sessions also help you to deal with any issues, including difficult emotions, that may arise during the course. Are you looking for a more traditional style of teaching? If you think you would enjoy a more structured, modular approach, where you know in detail what is being taught during each module, then Perceptual Bodywork would be the most suitable Creative Kinesiology professional training course for you. This is currently only taught internationally, in North America and Latin America.